Leonard A. Pierce, Bowdoin trustee and chairman of the Building Committee, speaking at the dedication of Pickard Theater. Others, left to right: Chester B. Emerson, Charles A. Cary, President James S. Coles, John C. Pickard, and Professor George H. Quinby. 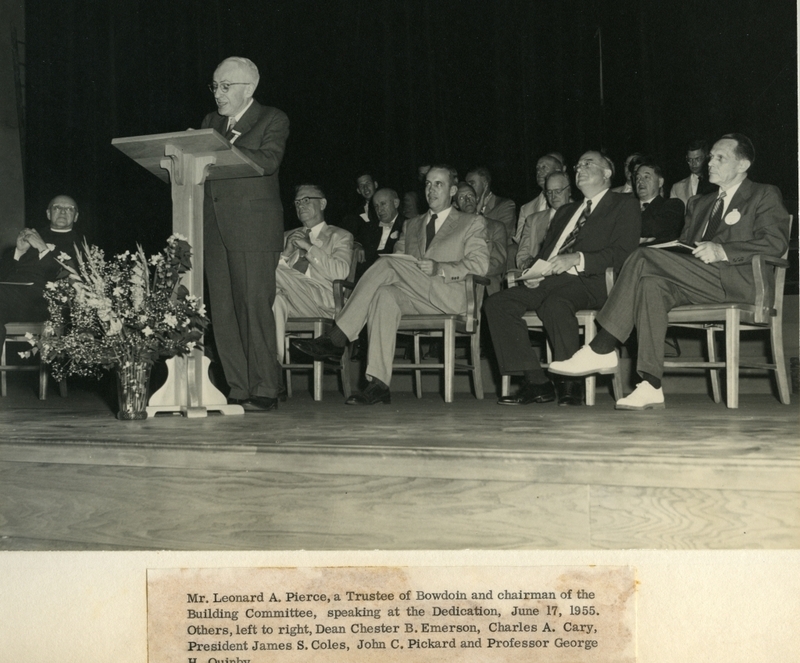 Duplicate of image is in a photo album of Pickard Theater, Memorial Hall, in the College Buildings Subject Files, catalog #1.13.1.